These 14" Serving Trays can be custom printed with your logo and message. 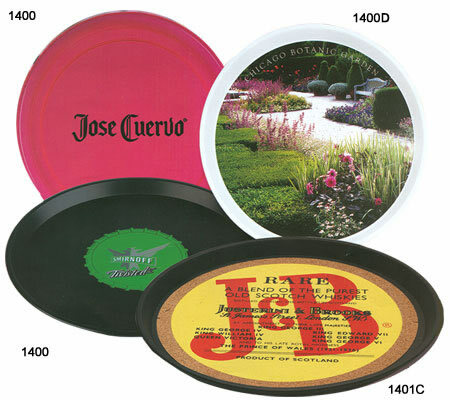 Each 14" diameter Tray is available with a regular or non-skid cork liner, which is great for beer, liquor, and on-site drink promotions. Choose from five tray colors including black, brown, clear, transparent pink, and white. For additional information on our 14" Serving Trays and other Bar Supplies, please contact us at 1-800-233-0828.